Some years ago when Georgina Beyer made her much publicised remark that she couldn’t live on the “five hundred bucks” Michael Hill Jewellers in Masterton were paying her a week, the nations talk-back hosts were inundated with critical callers. Many solo mums made the point that they were bringing up kids on a more meagre amount and pensioner couples were also scathing, saying their incomes were less than that and there were two adult mouths to feed. Qualified support for Ms Beyer’s comments however came from a budget adviser who said that it would be difficult for someone who was once on an M.Ps salary of $130,000 to adjust. Ms Beyer's response was to stand for the Masterton mayoralty. However she was unable to attract a backer to pay for the projected advertising budget and reluctantly withdrew from the race. The spoils for the winner at the time was an annual salary of $69,000, about half of her MPs stipend, but four times what Michael Hill was apparently offering. It was an understandable incentive. Handsomely paying our locals body politicians is a relatively new phenomenon. When I was first elected on to the Masterton Licensing Trust back in 1972 we were paid the princely sum of $5 a meeting. We met monthly eleven times a year - taking a break in January - giving us an annual income of $55. I believe the chairman would have received a modest honorarium. I suspect borough councillors at the time would have been similarly recompensed. By 1980 it was decided that the electorate was being served by only those who could afford to be away from their workplaces therefore giving the voters a restricted choice of candidate. So remuneration levels were set at a much higher level and the long-suffering ratepayer placidly went along with the generous new packages and became even more long-suffering. But was the old system really that bad? When I joined the Licensing Trust I was a brash young butcher and my fellow trustees included two accountants, a well-to-do retired businessman, a stockbroker and the local MP. We met once a month on a Monday afternoon because that was the MP’s day away from the house. So I was the only artisan amongst a group of intelligent professional people and the community was scarcely better off because of my inclusion. The pay packages are now set by statute and today a Masterton district councillor gets somewhere between $25,000 and $30,000 depending on whether he or she chairs a committee. The mayor now gets $92,400, which would have suited Georgina Beyer just fine. However, the larger the community the larger the largesse and in the big cities being a local body politician has become even more of a career move. You still have to rely on the whim of the electorate and the vocation is not necessarily long term. Every three years you need to convince your fellow citizens that you are worth re-electing and there is no superannuation scheme to keep the wolf from the door if your occupation ends abruptly. Parliamentarians fare better, particularly if they manage to stay the distance for three terms wherein a generous pension is paid out, plus other perquisites, for the rest of their natural lives. No one has ever explained why Ms Beyer left her safer-than-safe role as a list MP midway through her third term. The reasoning behind the move to increase local body pay packets was flawed from the outset. Those responsible for the generous legislation pointed at fees paid to directors on boards of companies and considered local body politicians filled the same role and undertook similar responsibilities. Directors however are appointed from a pool of men and women who have consummate skills and their value to the company is immeasurable. Actually that’s not true, it is quantifiable; their advice to their CEO’s is measured in the company’s results and its subsequent share price. I have worked alongside professional directors and I am in awe of their proficiencies. The company board of directors then elects its chairman from one of its members whom they consider is best equipped to lead them. This happens in virtually all organisations from school boards of trustees, regional councils, to parliamentary caucuses who elect the prime minister. The exceptions are the district and city councils. Their chairperson is chosen by the people. The citizen’s vote for their mayor who is often in an uncomfortable position given that some of his or her fellow councillors will have also stood for the position and may well tend to thwart the mayors progress, thinking they should have been elected instead. In most countries in the world the mayor is chosen by the council, after the election, from one of its own. Over the next couple of weeks the National party will go through the public trauma of electing a new leader of the opposition. It will be an agonising process both for the party and we engaged onlookers who will have made our own choices have the potential to be disappointed at the outcome. 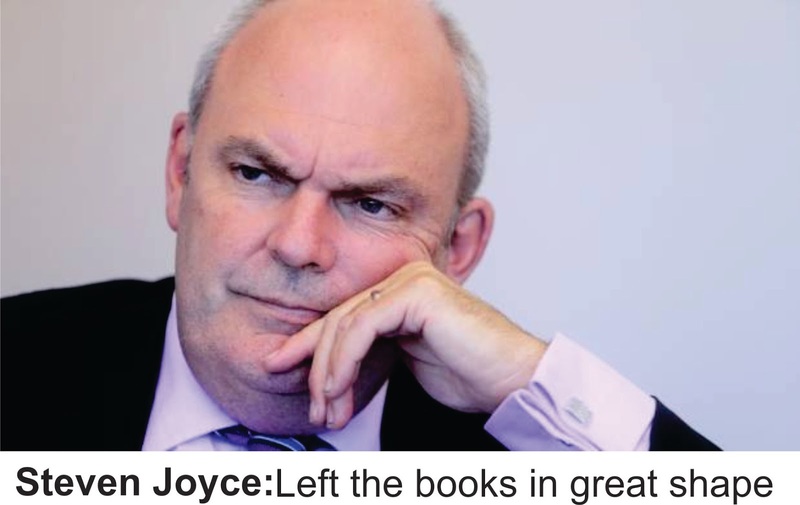 At the time of writing Steven Joyce seems to be well back from the front runners and in fact has not even entered the fray and yet he has been the finance minister of late who according to Grant Roberson has left the country in a sound economic state. Old and wise is not the flavour of month at the moment and has been well articulated by Ms Adern who is now apparently delighting readers of the American edition of Vogue magazine. Meanwhile I’ve come to the inescapable conclusion that our District Councils think there’s a ratepayer born every minute.